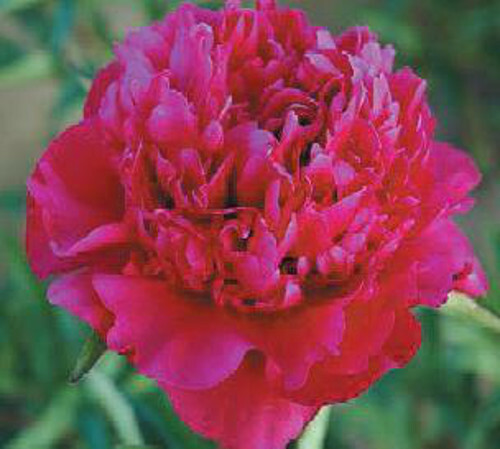 We do not mail order peonies at this time. We only sell them potted at the nursery. 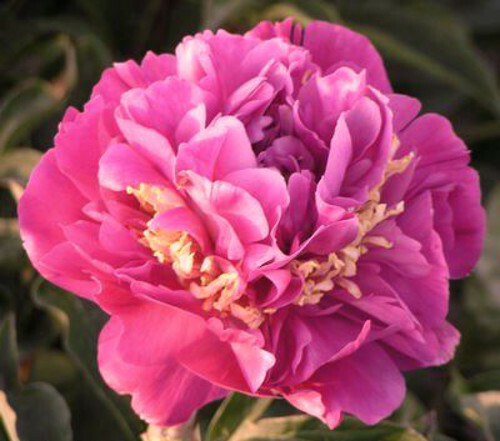 Peonies are considered by many to be the “Queen of all perennials”. 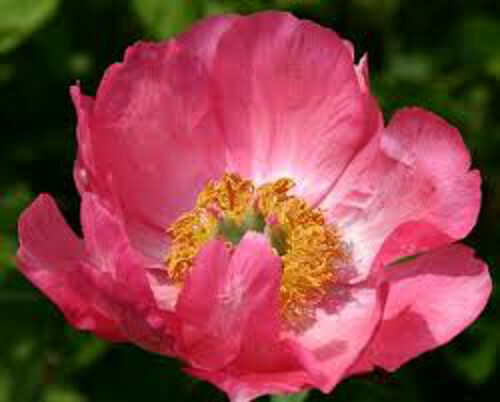 They are without a doubt one of the easiest of all perennials to grow in a wide variety of soils, and they will live for many years without being divided. 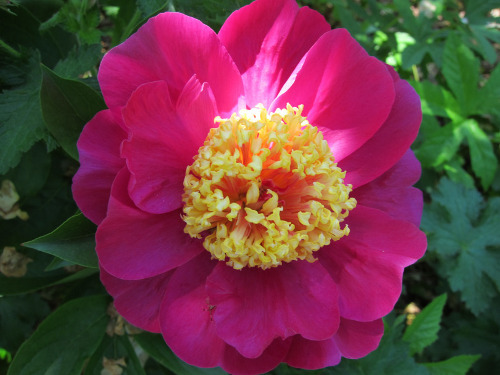 For best results plant peonies in full sun, even here in central Oklahoma where our summers are very hot. If full sun is not available then give them at least a half day of sun. 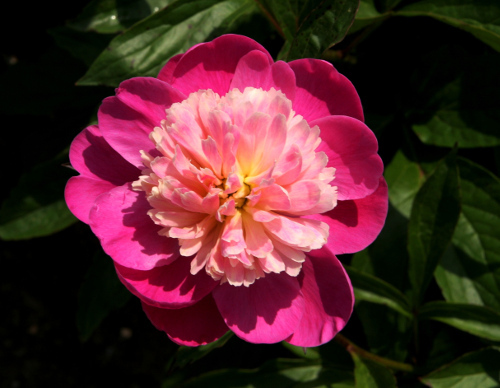 When planting peonies dig a hole larger and deeper than the root or container. Mix several inches of compost or rotted manure into the soil just below the root or container. Plant the root with the pink or white eyes upward and not more than one inch below the soil line in central Oklahoma. 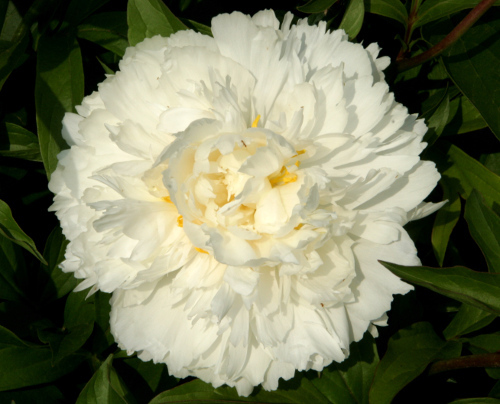 We sell all of our peonies potted in two gallon containers with a minimum of 3 to 5 eye divisions. We pot them in the fall and offer them for sdale beginning in the spring when they start coming up in early March. 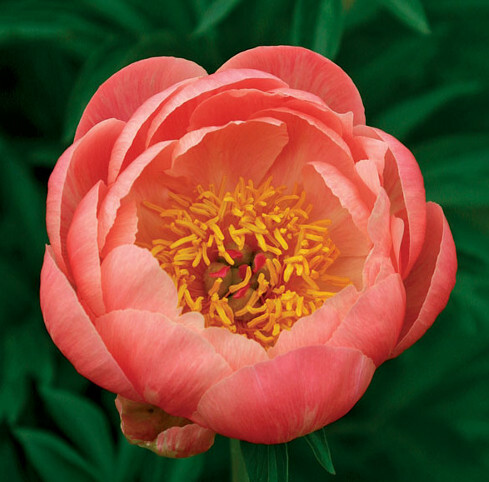 When you buy a peony from us, it has been planted correctly for you. All you have to do is remove the plant from the container and plant it with the top of the soil line of the container level with the surface of the soil in your garden. 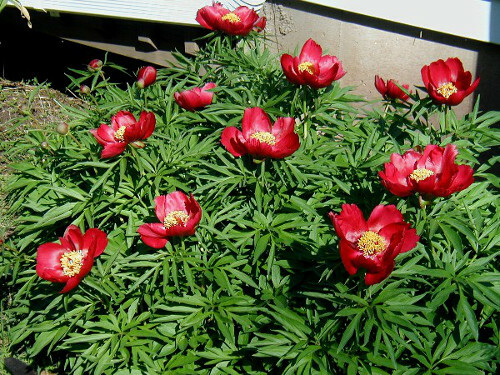 Peonies bought from other sources that have been shipped in from further north may be planted deeper and may not perform well in this area of the country when planted that deep. 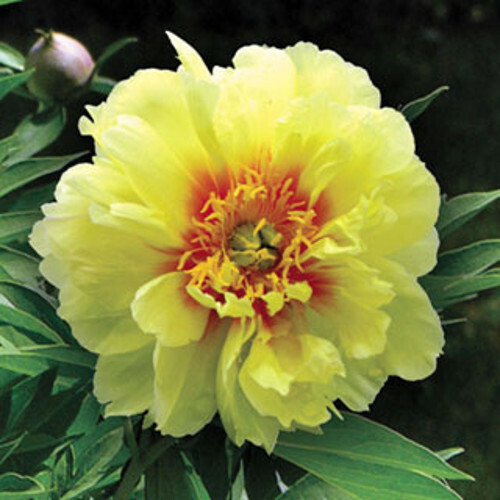 Do not buy peonies bare root in the spring and plant them as central Oklahoma get too hot too early in the spring and they will not grow well and may die. 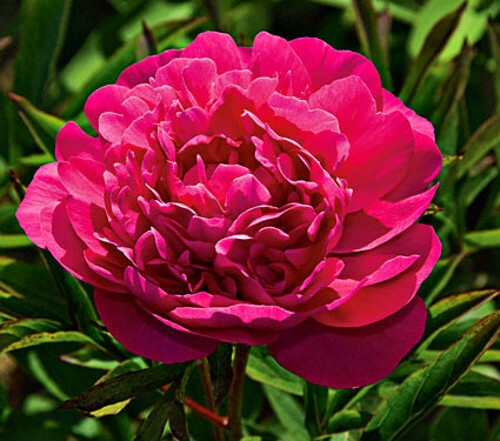 Also, do not mulch peonies. This will make it more difficult for the buds to get cold enough. 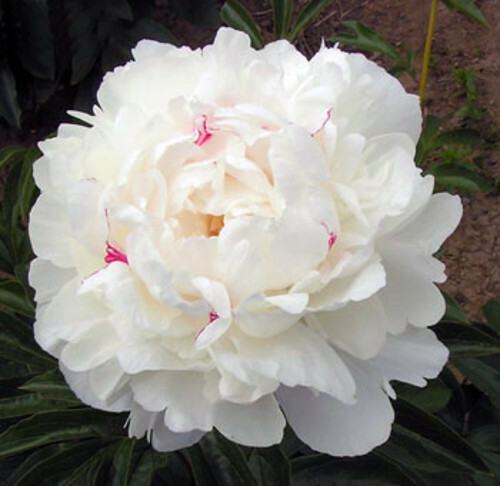 Peonies will grow all the way to Alaska so cold never bothers them. 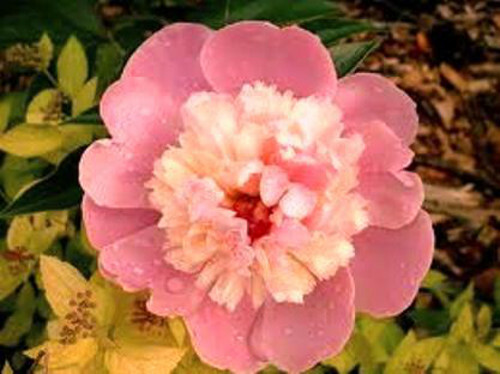 Once established, peonies do not require very much water to thrive. Here in central Oklahoma the foliage may turn brown in mid-summer but that does not hurt the plant. 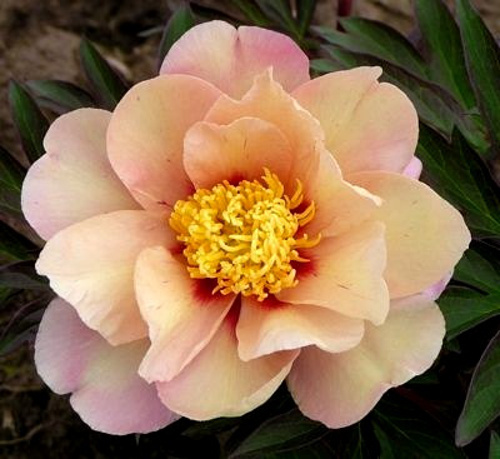 Like all plants, peonies will need to be watered the first year but after that they will pretty much take care of themselves. 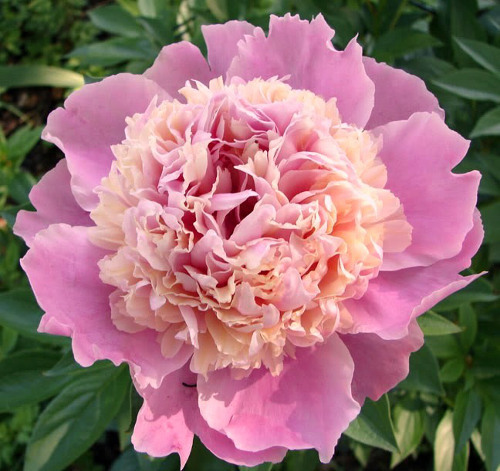 We grow all the peonies listed below, but do not always pot all of them for sale each year. The best selection is early in the spring. 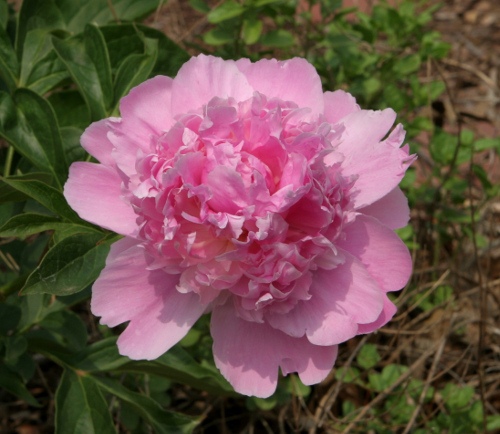 There are three main reasons why peonies do not bloom in central Oklahoma. First, the eyes are planted too deep. 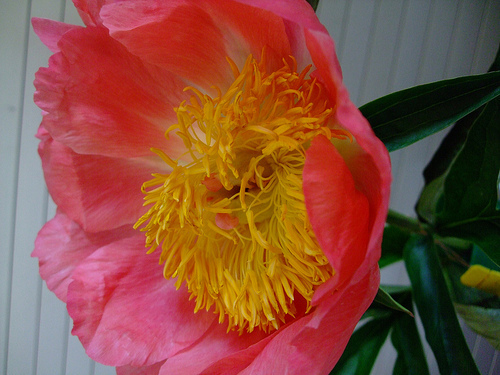 We are on the southern edge of where peonies grow and bloom. 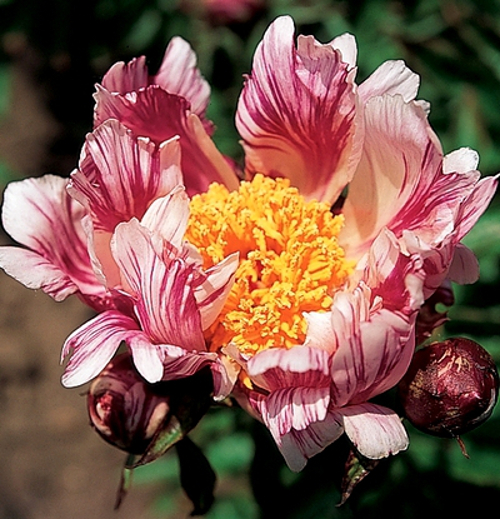 The eyes require many hours of cool temperatures to set blooms for the following year. If the eyes are planted too deep, the eyes will not get cold long enough and will not set blooms. Second, the plant is not getting enough sun. Most sun loving perennials need at least one half day of sun to bloom very well. 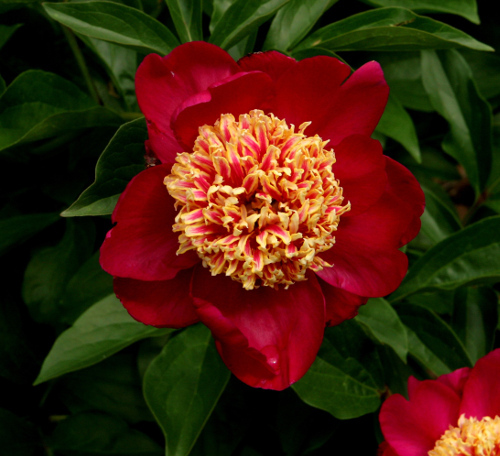 Peonies are one of these perennials. So plant them in as much sun as possible. 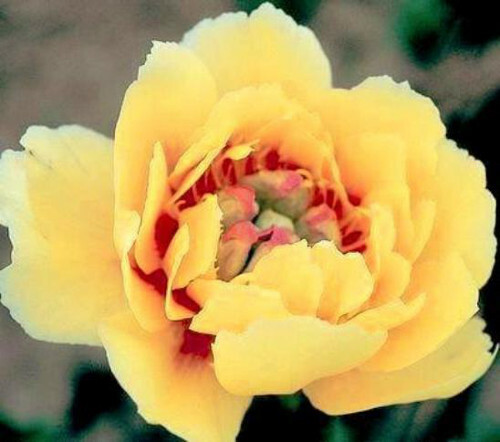 Third, in central Oklahoma you need to plant varieties that bloom early or mid-season. Our springs can often turn off very hot rather early in the spring. 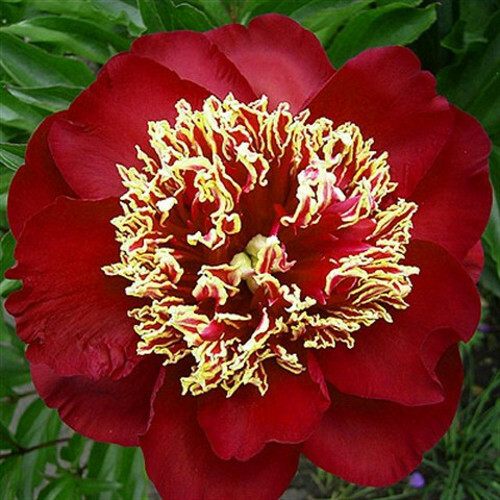 That will cause peony buds and flowers to wilt or dry up. 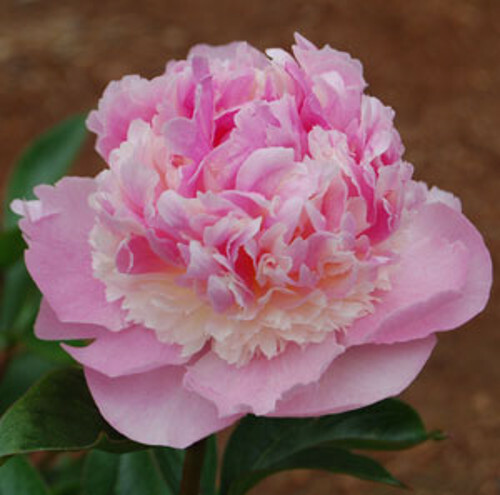 We are growing only the early and the mid-season blooming varieties. 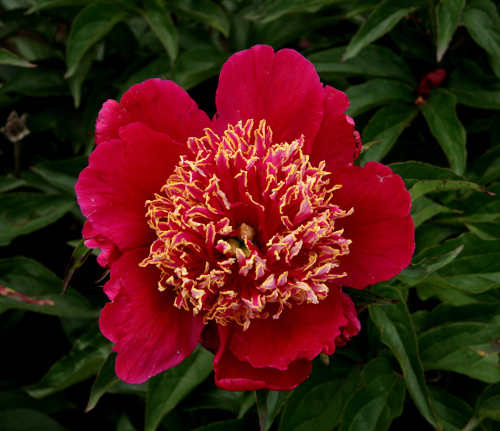 We have tested all the peony varieties we sell in our display and growing areas and have had great success with them. 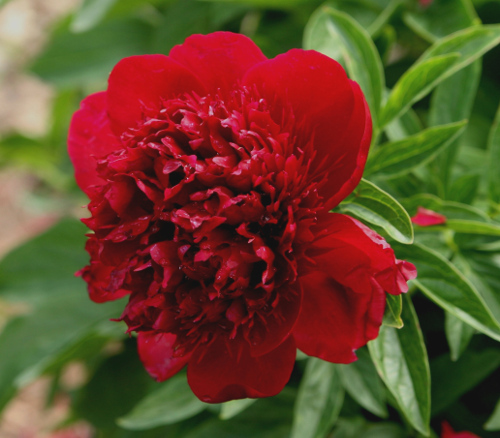 You can plant peonies sold at our nursery and be confident that they will grow and bloom successfully for you if planted correctly. 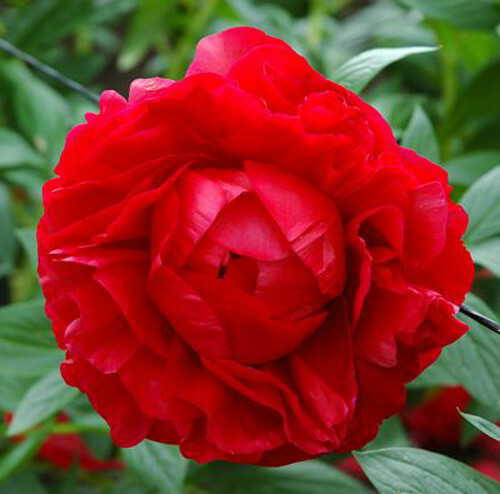 We grow a large number of different varieties of peonies. Below are pictures of most varieties we grow. 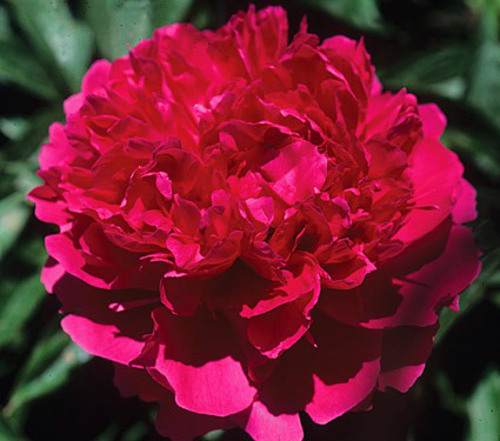 There are three main types of herbaceous peonies (also known as garden peonies). They are single, Japanese, and double or bomb types. The single and Japanes are lighter in weight and usually stand up well without staking in our Oklahoma winds. 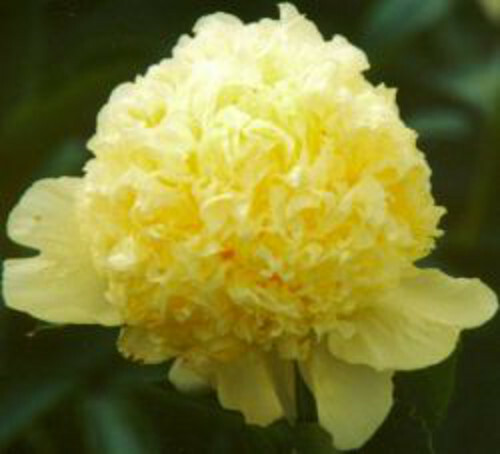 The bomb and double types are heavier and often need staking in Oklahoma to keep the flowers upright on the plant. 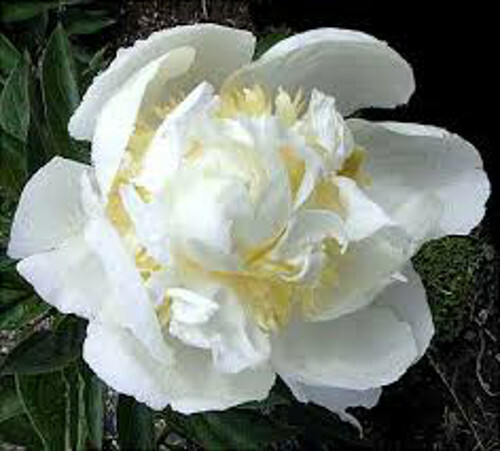 We also grow a few intersectional peonies that are a cross between tree peonies and herbaceous peonies. 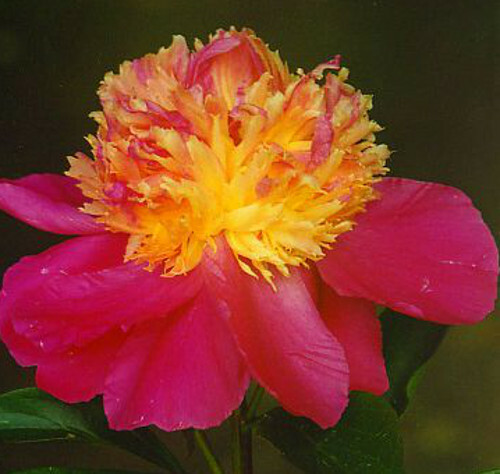 They grow like herbaceous peonies but the flowers look like tree peonies and come in more colors. 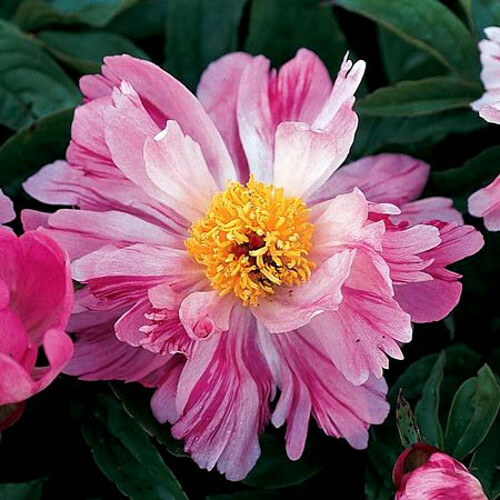 Under each picture look for the name and type of peony it is. We will also tell you if the variety is known to be fragrant.